Microfiber is super soft, resilient fabric created from incredibly thin, 100% polyester, filaments. Individual filaments that are less than 1 denier thick (about half the thickness of silk) are spun together to form a thicker cable or yarn. The yarns are then tightly woven, cut and brushed, giving the fabric to a “suede like” appearance and soft hand. The nature of these yarns and their tightly woven structure give microfiber many beneficial characteristics, making it a great upholstery choice for many homes. Microfiber resists many common household stains like coffee, tea, juice, wine, mustard and ketchup. Liquid tends to bead-up on top of the fabric, allowing time for clean up before it can soaks in. The weave is tight enough to create a barrier for dust mites and pet dander and is virtually immune to snags or pulls; it is typically even too tight for cat claw punctures. To add extra bulk/thickness and enhance the “hand” of the fabric, microfiber can be produced with an embossed texture or napped surface, a woven cotton backing or polyurethane foam non-woven structure. 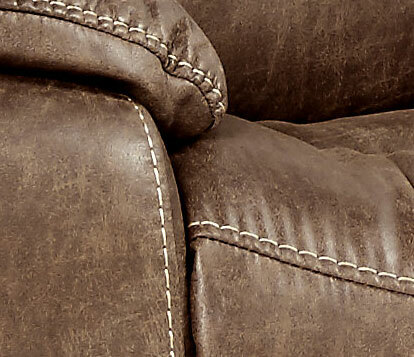 Adding these features creates an even more leather-like surface sometimes referred to as microsuede or Ultrasuede. A cotton backing will make the fabric more supple and gives it a breathable quality that adds comfort when sitting for long periods of time. Water resistant, stain resistant and easy to clean– liquids tend to bead-up on microfibers giving you time to blot-up spills before they set in. If a stain dries in, it is easy to clean off by blotting with warm water or mild detergent and a damp towel. Washable – slip-covers and throw pillows can be laundered in your home washing machine. Soft and breathable – depending on the manufacturing process it can feel velvety or suede-like. 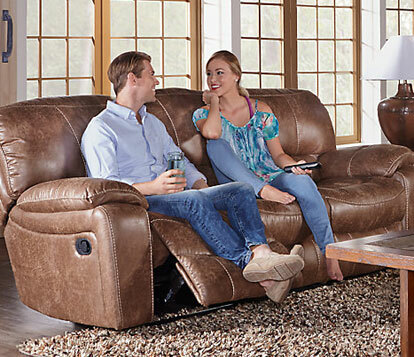 It is comfortable to sit or lay on and has a breathable quality that feels warm and cozy in the winter and dry and cool in the summer. Durable – the tight weave prevents pulls and snags. Most cats can’t dig their claws into it. The fabric is dense and threads are strong so holds up well to heavy use without fraying. Colorfast – it maintains its color without fading and stays new looking for years, allowing endless color possibilities, including deep or bright saturated shades. Kid and pet friendly – microfiber’s durability and stain resistant qualities make it an especially great choice for busy homes with kids and pets. Keeps allergens out – the tight weave forms a barrier that keeps allergens such as dust mites and dander out, meaning your furniture won’t harbor these allergens. Affordability – as if the benefits list isn’t already long enough, microfiber happens to be much less expensive than suede. It is an affordable luxury. The nature of these yarns and their tightly woven structure give microfiber many beneficial characteristics, making it a great upholstery choice for many homes. With so many benefits, you may wonder if there are any drawbacks. First remember that as with any product, there are different levels of quality and weights in manufacturing. The physical strength of microfiber fabric is determined by the number of face yarns per square inch in both the warp and the fill direction -- the larger the number, the tighter the weave, resulting in a more durable fabric. Look for fabric manufactures with good reputation of producing a quality product. Additionally, look at the furniture in the showroom since it is likely to have gotten quite a bit of action on the store floor. Does it looked stretched and saggy? Are the seams tightly and well sewn or is the fabric pulling? Is the stitching and fabric holding up well to high volume use? Keep in mind that some consumers have found that with certain brands, light colors can pick up dye from jeans and pants. This type of discoloration can be difficult to remove. Also, oily residue and lotion can leave soil the surface and be difficult to clean off. Some owners do not care for the velvety nature of microfiber that leaves directional marks and swirls after use. Different brands and different colors can make this characteristic stand out more or less. And finally, some microfibers can get staticky, attracting lint and fur. Microfiber is resilient and easy to care for. It is much more stain resistant than the real suede that it resembles. To keep microfiber furniture looking great, vacuum or lightly brush weekly to prevent accumulation of dust and dirt and to prevent dirt from becoming imbedded into the fibers. There are microfiber specific cleaners on the market, always test first in an inconspicuous area. Slip covers and throw pillows can be washed in home washing machines. Blot up spills with a paper towel. Tougher stains or dried on stains can be cleaned with warm water or mild detergent and water, rubbing in circular motion with damp towel or sponge, pat with dry towel to get completely dry.